UNIT Clothing Company is a clothing brand based in Byron Bay Australia, which was founded in 2004 by former pro bodyboarder Joel Taylor. Products of Unite Clothing are well made, functional and comfortable to wear. Perfect to represent the bodyboard but discreet enough to be worn on all occasions. For more information do not hesitate to follow the social network by clicking the links on the right of this page (Presence on Social Networks). Visit the website of UNITE Clothing Company now ! 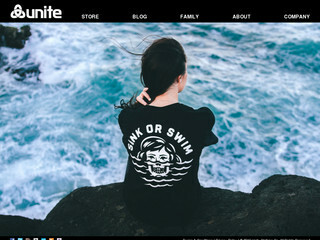 UNITE Clothing Company , belonging to category "Bodyboard Wear"